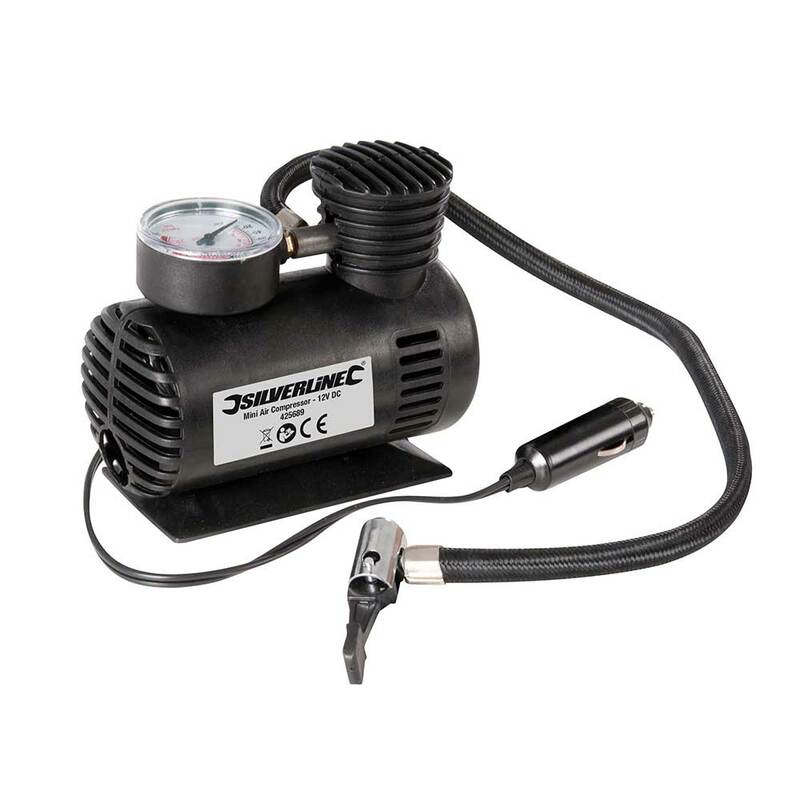 Small compressor suitable for inflating tyres, dinghies and sports equipment. 12V/DC car cigarette lighter plug with 2.8m cable. 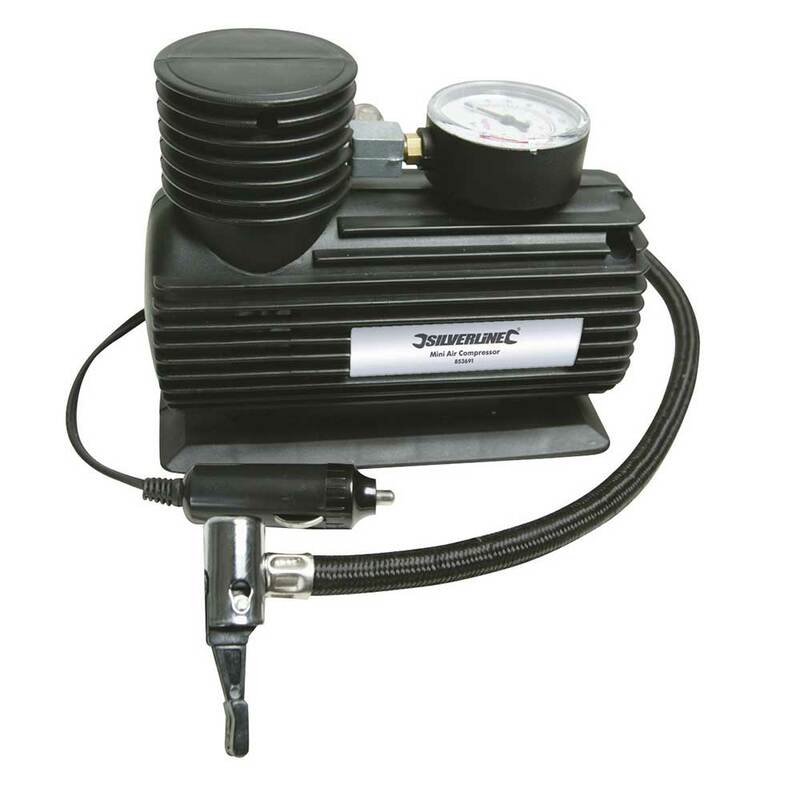 Includes 2 x inflating nozzles and 1 x needle valve adaptor. High quality 460mm braided air hose and Schraeder valve connector. Pressure gauge with 50mm dial.